The Ancient Greeks believed that a swan would sing only once in its lifetime...in the final moments...with its last few breaths. 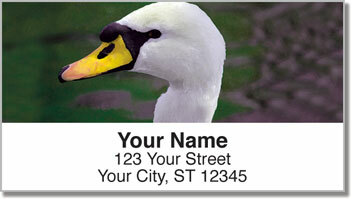 That's where the term "swan song" comes from. While we've learned this is legend and not fact, to end one's time on Earth with a beautiful song is still a wonderful thought. 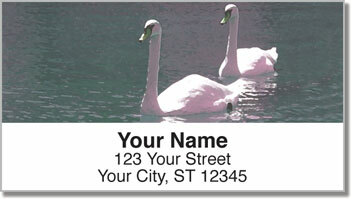 If you like grandiose finales, you'll love these attractive return address labels featuring striking images of swans on the water. 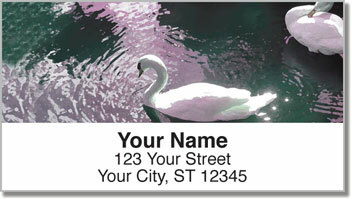 They make an exquisite finishing touch for all your outgoing mail. Plus, they are also a convenient, time-saving tool. Just peel and place them on every envelope thanks to a self-adhesive backing. 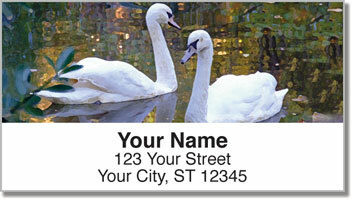 Make our Swan Song Address Labels yours today! Complete the order by adding matching personal checks.